Fatty Acids Reference from C.H.I.P.S. 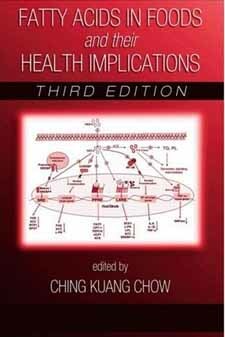 Thoroughly revised to reflect the most recent research findings, Fatty Acids in Foods and their Health Implications, Third edition presents the current knowledge of fatty acids in food and food products and reveals diverse health implications. Several chapters underwent complete rewrites in light of new research on fatty acids in meat, meat products, and milk fat; fatty acid metabolism; eicosanoids; fatty acids and aging; and fatty acids and visual dysfunction.